Sometimes – for various reasons – an army decided to take an extremely defensive position: inside a city. If the opposing army didn’t go away, a siege would likely occur in an attempt to force the defenders out, starve the population, and conquer the city. One of the first recorded sieges in Ancient History took place at Lachish in southern Judah (Israel). An Assyrian army matched its strength against that city’s strong walls in 701 B.C. A history-making moment as the siege was recorded and set precedent for centuries of sieges in the future. Today’s article explores the highlights of this siege, presenting facts about the countries and their leaders, the tactics and strategic of the siege, the effects of siege warfare, and Lachish’s influence on World History. In 705 B.C. assassins killed King Sargon II, and Sennacherib took the throne, control of the army, and the mighty Assyrian Empire. Technically, this was the Neo-Assyrian Empire which would eventually stretch from the Persian Gulf to the Mediterranean and from central Turkey into Egypt. How did Assyrian Empire gain and keep so much territory? They had the best army in the Mesopotamian region at that time. 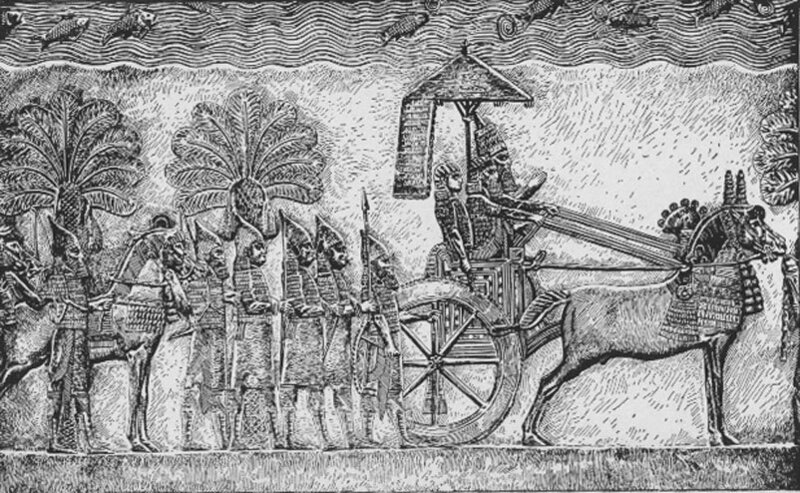 The Assyrian Army used iron weapons and had an “undefeated reputation.” Going against their enemies (who often still used bronze war implements), the Assyrians crushed their foes and frightened their regional world to the point that few armies would go against them in the field. They took their military efforts seriously – establishing war colleges, inventing siege techniques, and experimenting with psychological warfare. Sennacherib brought approximately 10,000 soldiers to Judah in 701 B.C. With archers, infantry, chariots, and siege knowledge, these fighters knew the art of war. **King Hezekiah wasn’t present at the Siege of Lachish, but since he was the national ruler we’ll recognize him. 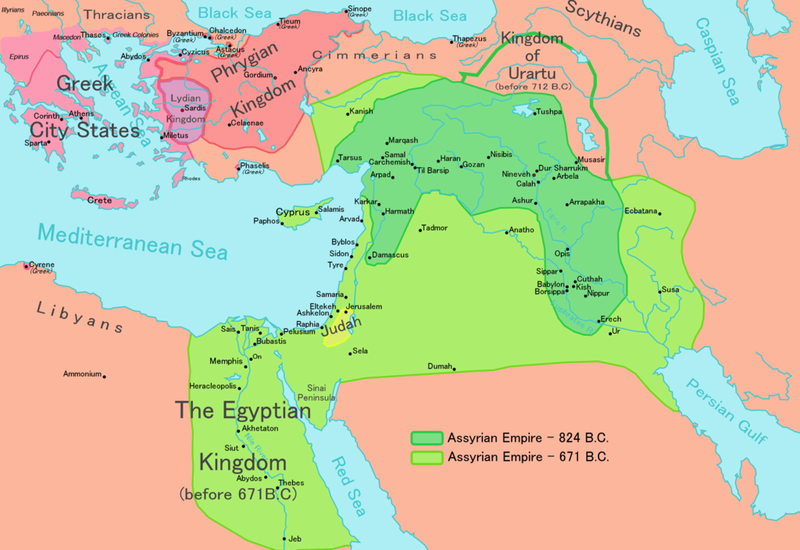 The Kingdom of Israel fell to the Assyrians in 722 B.C. and ten tribes of Israel went into captivity. The remaining two tribes which formed the Kingdom of Judah agreed to pay tribute and avoid rebellious actions. 705 B.C. – the same year Sennacherib became king – Judah tried to form an alliance with Egypt, but quickly sought peace after Assyria reasserted their military prowess and control. The outbreaks and ideas of rebellion brought Sennacherib and the Assyrian Army to Judah in 701 B.C. Letters to King Hezekiah preceded the army’s arrival. The Judean cities strengthened their defenses and stockpiled food stores. They would try to defend their cities, but avoided meeting their enemy in the field. In a south Judah city – Lachish – approximately 8,000 people sheltered behind their fortified city walls. The Assyrian army swept down the coastline and arrived outside this city. When a siege would take place, the Assyrian Army didn’t waste time or lives trying an assault. Instead, they settled into their routine. First, they marched around or in front of the city – allowing the defenders and civilian population to see their military might. The people of Lachish refused to surrender after the display of power, so Sennacherib and his officers called to the people, offering lenient terms of surrender and making fearsome threats for the outcome of the siege if the city fell. Again, Lachish remained defiant. The Assyrians surrounded the city, cutting off all communication and supplies. Archers and soldiers on the wall of Lachish kept watch and shot at the attackers if opportunity allowed. The walls and gates were strong, so Sennacherib ordered his soldiers to begin building an earthen ramp. Using slave labor (slaves captured at sieges of other Jewish towns), the Assyrians constructed a huge ramp ascending to the walls; they paved it with smooth stones. On the day of the assault, a large siege tower rolled up the incline, giving the Assyrians a foothold closer to the wall. Simultaneously, metal tipped battering rams worked at the gates and weaker places on the wall. The Lachish defenders fought desperately as breaches opened in the city walls. Fighting spread throughout the city, ending with the atrocities, massacre, enslavement, and torture. Assyrian siege masters had conquered again – and this time they would leave a historical record. 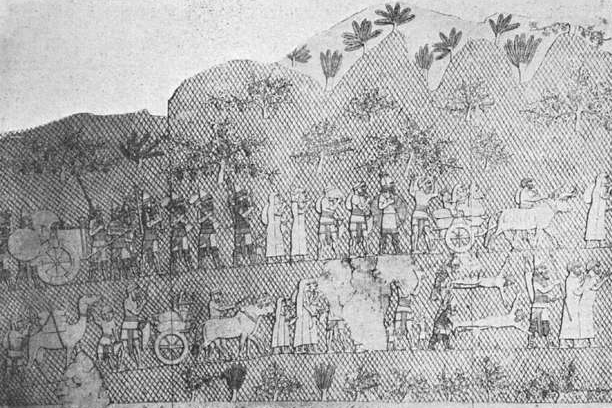 A relief depicting Lachish survivors led away as slaves. The Assyrians refined sieges to a cruel science. City after city fell to their towers and battering rams as they built their empire. For the inhabitants of a besieged city, it was an ordeal usually culminating in death after terrible suffering. Rationing gave way to starvation. Defenders went mad. Civilians panicked. Outside, the enemy and the end grew closer with each basket-full of earth creating the siege ramp. Lachish fell, and the Assyrians moved on, eventually arriving in front of Jerusalem’s well-constructed walls. King Hezekiah refused to surrender, placing faith in God and a promise for deliverance. The Siege of Jerusalem culminated in defeat and devastating illness and deaths for the Assyrian Army which marched away, leaving the remaining cities and people of Judah free for a time. The Siege of Lachish in 701 B.C. records the historical details about the Assyrian methods of conquering and fighting when their enemy refused to leave the shelter of a city. Assyrian siege ideas would be adopted by Greeks and Romans and many ideas would also be used during the Middle Ages. Lachish was one of many cities to suffer defeat and destruction at the hands of the Assyrians. What makes it important? The Siege of Lachish is significant because it is documented and that documentation survived the centuries. It’s recognized as one of the first document sieges in World History, and it created the recorded plans for other civilizations to carry-out the frightful moments and tactics of a siege against their opponents.